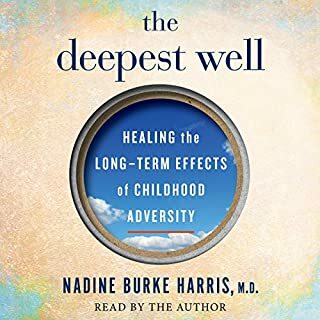 Two-thirds of us have experienced at least one adverse childhood experience, or ACE, such as abuse, neglect, parental substance dependence, or mental illness. Even though these events may have occurred long ago, they have the power to haunt us long into adulthood, and now we have found that they may even contribute to lifelong illness. Dr. Nadine Burke Harris, the founder/CEO of the Center for Youth Wellness and recipient of the Arnold P. Gold Foundation Humanism in Medicine Award, expands on similar topics as in her popular TED talk. We rely on willpower to create change in our lives...but what if we're thinking about it all wrong? 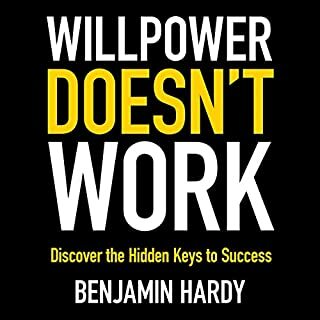 In Willpower Doesn't Work, Benjamin Hardy explains that willpower is nothing more than a dangerous fad - one that is bound to lead to failure. Instead of "white-knuckling" your way to change, you need to instead alter your surroundings to support your goals. 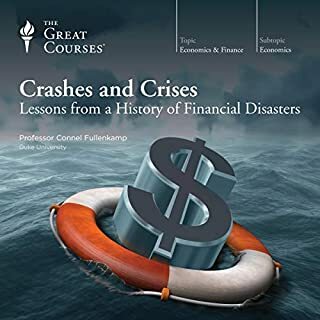 This book shows you how. In 2014, Elizabeth and Nate Thames were conventional 9-5 young urban professionals. But the couple had a dream to become modern-day homesteaders in rural Vermont. Determined to retire as early as possible in order to start living each day - as opposed to wishing time away working for the weekends - they enacted a plan to save an enormous amount of money: well over 70 percent of their joint take-home pay. Dubbing themselves the Frugalwoods, Elizabeth began documenting their unconventional frugality and the resulting wholesale lifestyle transformation on their eponymous blog. Human beings are primates, and primates are political animals. 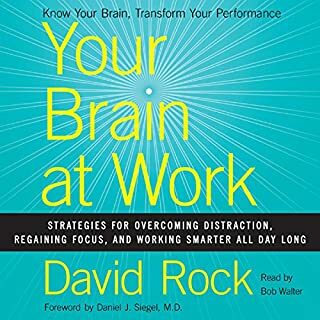 Our brains, therefore, are designed not just to hunt and gather but also to help us get ahead socially, often via deception and self-deception. But while we may be self-interested schemers, we benefit by pretending otherwise. The less we know about our own ugly motives, the better - and thus, we don't like to talk, or even think, about the extent of our selfishness. This is "the elephant in the brain". Dr. Martin Luther King, Jr.'s account of the first successful large-scale application of nonviolent resistance in America is comprehensive, revelatory, and intimate. King described his book as "the chronicle of 50,000 Negroes who took to heart the principles of nonviolence, who learned to fight for their rights with the weapon of love, and who, in the process, acquired a new estimate of their own human worth." It was a much needed point, in the right direction. Junger turns his brilliant and empathetic eye to the reality of combat - the fear, the honor, and the trust among men in an extreme situation whose survival depends on their absolute commitment to one another. His on-the-ground account follows a single platoon through a 15-month tour of duty in the most dangerous outpost in Afghanistan's Korengal Valley. Joining the ranks of popular science classics like The Botany of Desire and The Selfish Gene, a groundbreaking, wondrously informative, and vastly entertaining examination of the most significant revolution in biology since Darwin - a "microbe's-eye view" of the world that reveals a marvelous, radically reconceived picture of life on Earth. New York Times best seller and Whitebread Book of the Year, Nobel Laureate Seamus Heaney's new translation of Beowulf comes to life in this gripping audio. Heaney's performance reminds us that Beowulf, written near the turn of another millennium, was intended to be heard not read. Contemporary culture tells us the twentysomething years don't matter. Clinical psychologist Dr Meg Jay argues that this could not be further from the truth. In fact, your 20s are the most defining decade of adulthood. 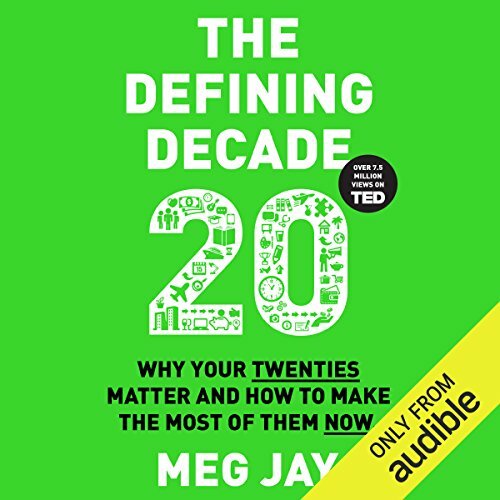 The Defining Decade weaves the latest science of the twentysomething years with real-life stories to show us how work, relationships, personality, social networks, identity and even the brain can change more during this decade than at any other time in adulthood. Smart, compassionate and constructive, The Defining Decade is a practical guide to making the most of the years we cannot afford to miss. Every single 20 something should read this! Be intentional is what I take away from this, and many, many more lessons! loved it! most likely will listen again!! too many jewels in here, it also made me rethink about what I want in this decade and how I need to also start choosing guys that are right for me. it's Okey to be picky at times but most importantly it's all about improving one's self. Dr Jay remains likeable as she strips twenty-somethings of their security blankets of early adulthood. Through amalgamations of her many twenty-something patients, she tells the story of how it is the best time to gain identity capital in life, careers, and love. Reminding us that building towards a fulfilling life can be fulfilling in itself, and good habits will take us far. Most memorably she points out, that having a life in your thirties is a lot nicer that trying to start a life, and that existing in a urban jungle pseudo-adolescence as we wait for life to start, is a waste of the spectacular cognitive development our brains are going through in our twenties. 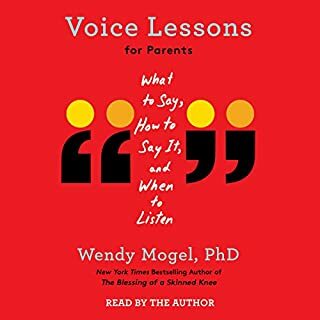 I love this book, I love the narrator and I love what it's about, I love the short stories about each of her patient, but I don't follow what its preaching. 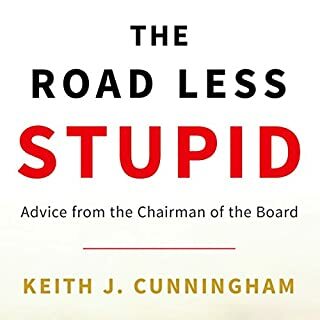 This book feels like being slapped with a truth bomb, it make sense to me, I know I need to stop drifting and claim my life, but I don't do it. Yet I still love the idea behind what Meg is talking about, it pushes me to make minor steps. It's definitely a book that should be read by all 20 somethings, these years matter, even through were thought that we have plenty of time to figure it out and can just keep on doing the meaningless stuff we do. Sage thought-provoking stuff I have been challenged to think about now. Helpful mix of research and personal accounts - very digestible. Scary but needed advice for your 20s. At 29 I felt like I should have listened to this earlier. The advice was life affirming and direct, yet gentle and understanding. It felt tailor made to me, it addresses to many of my concerns about life. Incredibly engaging. Thoroughly enjoyed the content of this book. It also got me thinking and forced me to to take some action. Although, the narrator gets some getting used to.